Athens, greece. acropolis rock and monastiraki square early in the morning. Athens, greece. 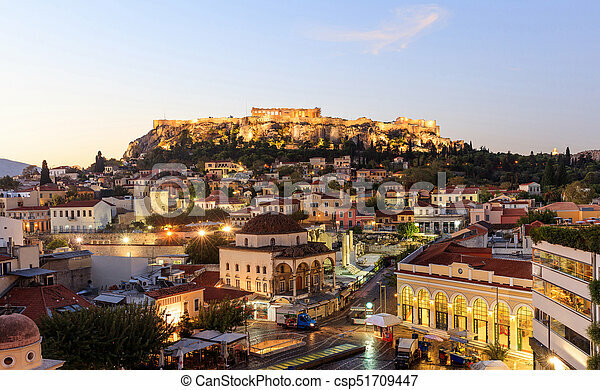 illuminated acropolis rock and monastiraki square at sunrise, blue sky background.